As you may know, there’s an election coming up on November 7th in Madison County for the purpose of electing our mayor and city council members. In addition, there’s a Public Measure on the ballot regarding the Local Option Sales Tax (aka LOST). It’s important, but maybe confusing, so let’s talk about what it means. You can read the language for it on the Sample Ballot, provided in a link on the front page of the Madison County website, but it doesn’t make a lot of sense without some background knowledge. To help figure it out, I had coffee and a good conversation with Tom Leners, Executive Director of the Madison County Development Group. Thankfully, he made it easy for me by breaking it down to five main points. 1. 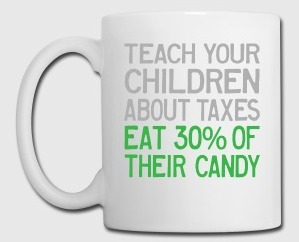 First, it’s important to know that this is not a new tax. It’s a vote to continue the current one-cent sales tax we already have in place, which was established by a vote back in 2004. At the time, city officials were looking for a way to help pay for a new aquatic center to replace our leaky, old-school facility. In its first year of implementation, the LOST brought in approximately $246,000 for the city, and the swimming pool was eventually completed — an amenity that creates its own stream of income. Since then, sales growth in the county has increased our annual amount to about $445,000 last year. 2. The funds are distributed to all communities in the county, not just Winterset. I mentioned that Winterset received $445,000 last year, but that was just our portion. The total amount of LOST funds received by the County last year was $1,555,896. Of that, the County itself receives 54.88%, and they put 80% of that toward rural property tax relief. With the remainder, based on a state-set distribution formula that has to do with population and property tax levies (you can find it here), Winterset receives 28.62%, Earlham receives 8.16%, and so on to Bevington, East Peru, Macksburg, Patterson, St. Charles, and Truro. 3. 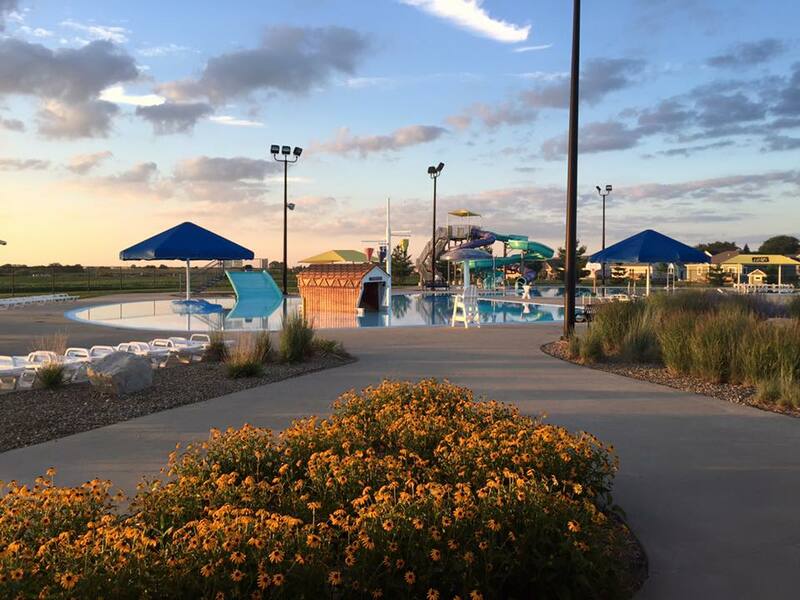 LOST funds have helped build amenities in Madison County that make it great place to live. Mayor Olson, who supports the continuation of the tax, points out that in addition to the aquatic center, Local Option Sales Tax funds have contributed over the last 13 years to the skate park, the soccer field complex, land for ball fields, the ice skating rink, our developing dog park, expansion of the city campground, tennis court renovation, city park/shelter improvements, and relocation of the Jurgensen Bridge. 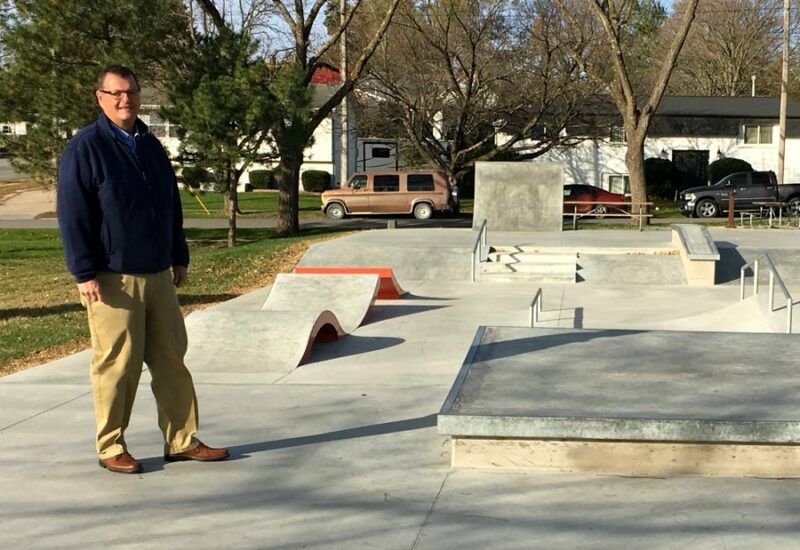 I may not use all of these facilities personally — I’m not a skater or a soccer mom — but combined, they contribute to a vibrant community where I’m proud to live. I don’t think Tom Leners is a skater either, but maybe he should give it a try? 4. This tax helps us benefit from the increase in tourism to our area. The LOST is similar to regular sales tax in that it mostly applies to retail sales, and does not apply to food, etc. 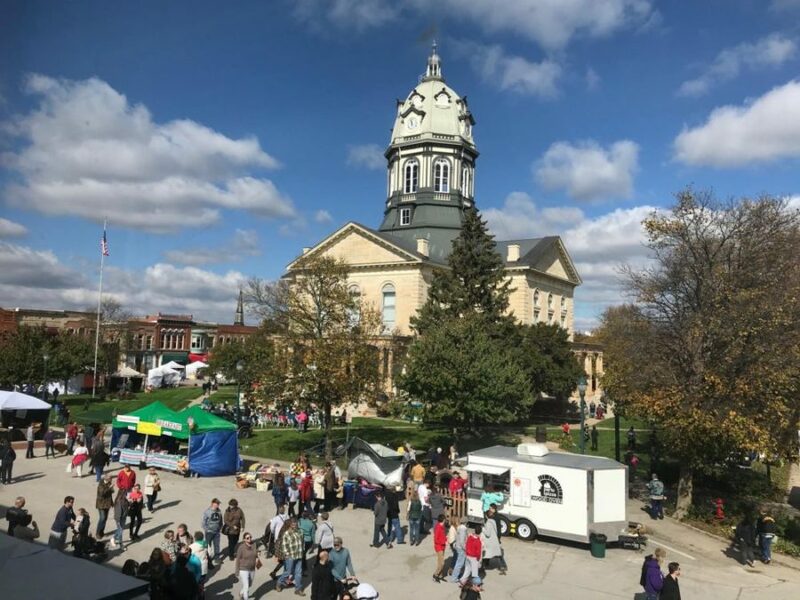 Retail sales have increased in Winterset partially due to tourism, thanks to our great museums, wineries, festivals, promotion through the Madison County Chamber of Commerce, and of course, our unique shops on and off the square. Collecting that extra cent on each dollar helps to put that tourist activity to work for us. Welcome, tourists! Bird’s eye view by Dave Trask from above Ben Franklin. 5. Ongoing LOST revenue gives us the ability to finance. The successful Local Option Sales Tax measure that passed in 2004 had a cap of 20 years, meaning that it will run out in 2024 unless we vote to extend it. That only gives us the next seven years to count on that income, but bonds and loans are typically only issued when the revenue source is ongoing. The tax will not go away if voters say “no” at this election, but our ability to get the most out of the income will be hindered, and progress toward things like the Cedar Bridge Trail may be stalled. In summary, please vote on November 7th, and don’t get stumped by the legal language in the Public Measure. In my opinion, which is not necessarily the opinion of The Winterset Citizen’s sponsors, a Yes vote will help continue a great pattern of growth in our community. For more information, you can find details of polling times and locations and a Sample Ballot on the front page of the Madison County, Iowa website.